Somehow I was actually able to pace myself through this book and not devour it within just a few days. It was one that I would save for my commute to and from work, and where I would intentionally walk instead of bike or bus so that I'd get a good 45-60 minutes of reading time a day. There were times where I would actually stop in my tracks and step off the sidewalk because I became so immersed in what was happening. I became so attached to the characters that I became devastated when they died. This book has everything-- love, heartbreak, friendship, loyalty, revolution. I loved how storytelling was woven into every part of the book, from how the book was written itself to how the characters embraced it in their own lives and how they taught lessons to their children. 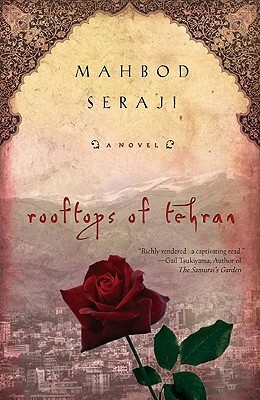 It also made me read more about the Iranian Revolution, and I like when a book can get me interested in a subject like that. I'm a little torn on how it ended in the last few pages. It was a bit predictable and ended a bit neatly, but I suppose after everything else they went through, they deserve a little happiness. Last year when I was checking out The Wu-Tang Manual, the staff person at the library who was helping me recommended this book to me. 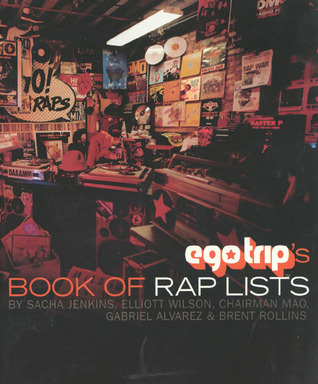 It's basically exactly what the title says-- a very comprehensive book of lists about rap. I'd go so far as to say this thing is like a Bible of rap and hip hop history (to the days of Kool Herc, Grandmaster Flash, etc). I had this book on hold for about 6 months before it was my turn to check it out. My time with it was up all too quickly and of course other people had it on hold, so I ended up ordering a copy of it for myself. I don't actually buy books very often now since I mainly use the library, so that says a lot! I'd definitely recommend this book to anyone interested in hip hop. If anything, it makes for a lot of great playlists.